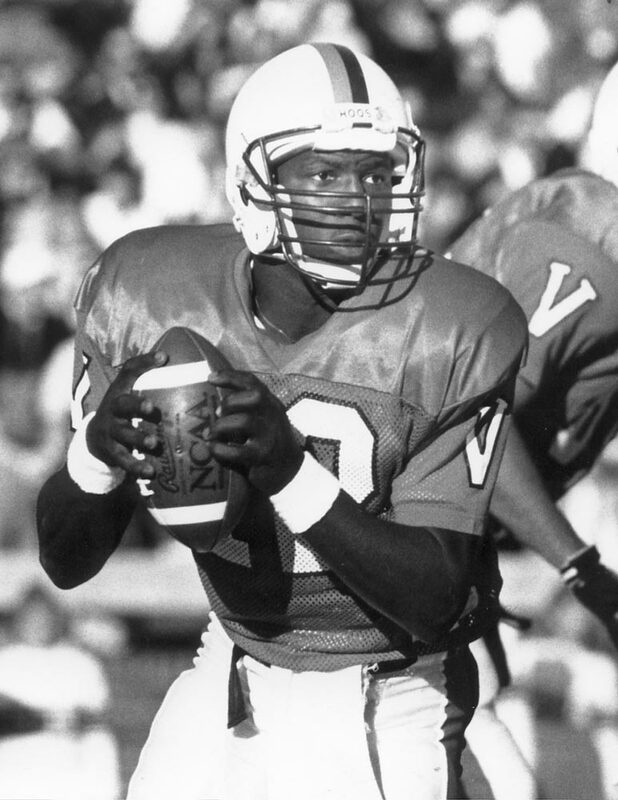 UVA’s leader in career total yardage (7,987) and second in passing (6,629 yards), Shawn Moore led the Cavaliers to a No. 1 ranking for a three-week period in 1990. That same season, Moore became the first ACC quarterback to lead the nation in passing efficiency, finished fourth in the Heisman Trophy balloting, and was named ACC Player of the Year and first-team All-American. 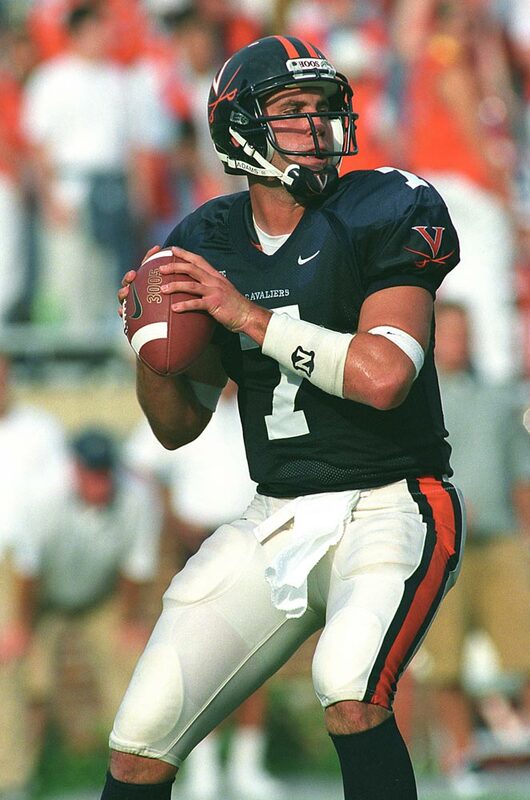 He is the only Virginia quarterback to have his number retired. Besides, was there anything more unstoppable than the Moore to (Herman) Moore connection? A close call between Moore and Schaub for the top spot, but Moore’s versatility and ability to lead the Cavaliers to heights not seen before or since give him a slight edge over Schaub’s overall dominance of the Virginia record books. By the time he finished his career in 2003, Schaub held 23 school records, including yards passing (7,502), touchdown passes (56), completions (716), attempts (1,069), completion percentage (.670), 300-yard games (8), and 200-yard games (20). 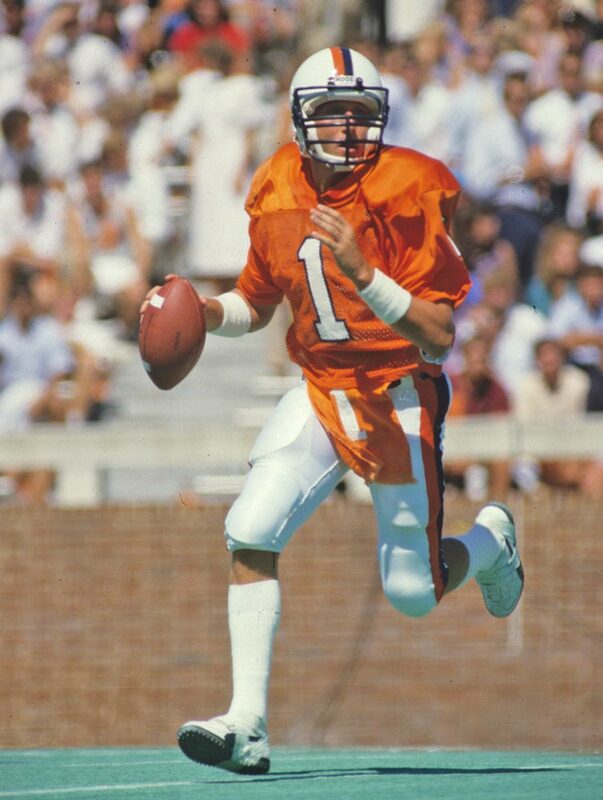 The 2002 ACC Player of the Year, he still holds the ACC record for career completion percentage. 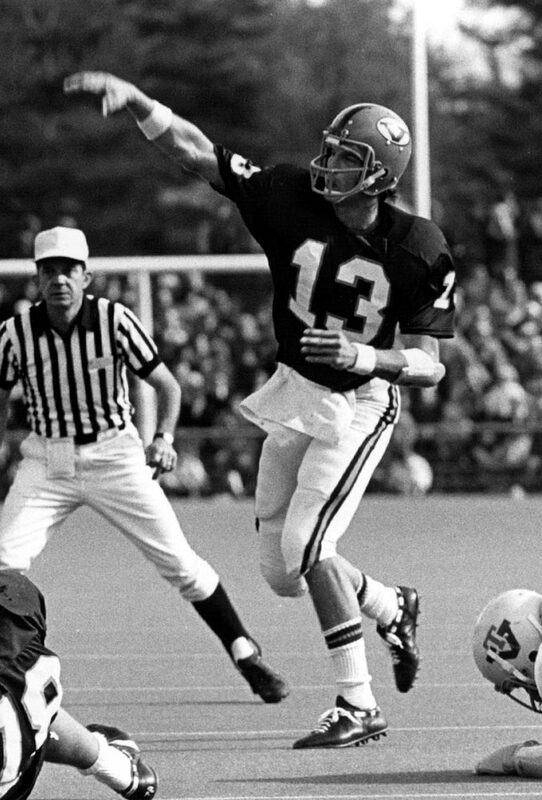 Although the “Majic Man” does not have the gaudy statistics of others on this list (he ranks eighth on UVA’s career passing list), Majkowski was the quarterback who helped Coach George Welsh reverse the fortunes of a struggling football program. Majkowski guided the Cavaliers to a 27-24 victory over Purdue in the 1984 Peach Bowl, Virginia’s first bowl game (the Cavaliers have now been to 17 bowls). Groh is the only UVA quarterback to guide his teams to nine wins and bowl victories in consecutive seasons. 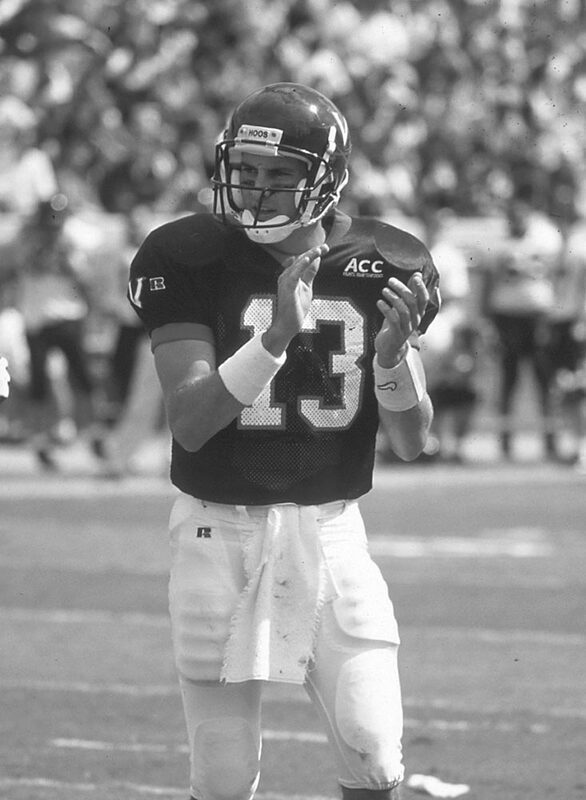 He led the ACC in passing in 1994 and was behind center for the monumental victory over Florida State in 1995, ending the Seminoles’ 29-game ACC win streak.His 2,510-yard passing total during the 1995 season is the school’s third highest. 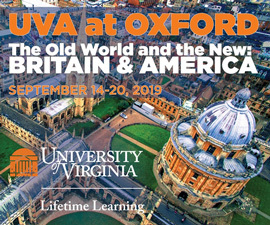 The Cavaliers won only nine games in the three seasons that Scott Gardner played quarterback. But don’t blame Gardner—he led the ACC in passing two of those years and still ranks third on Virginia’s career passing list. He might’ve ranked higher on this list if not for his school-record 59 career interceptions. Third in Virginia career passing yardage and touchdown passes, fifth in total offense. Threw 19 touchdown passes and zero interceptions on his way to ACC Player of the Year honors.